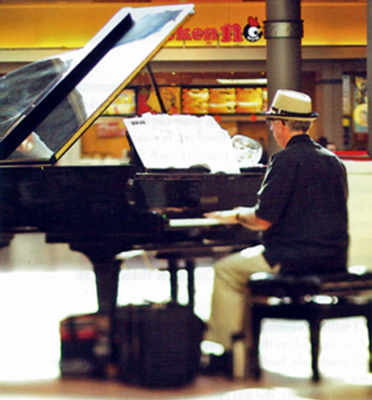 In addition to numerous Weddings and Private Parties and Special Events, piano player Pat Byrne performed public gigs at these live music venues during 2014. 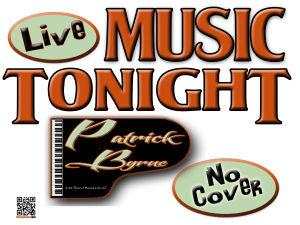 If you own/manage a Restaurant, Wine Bar, Coffeehouse or other live-music venue and you would like to have Patrick Byrne play piano at your establishment, please call/text Pat at 262-893-1759 today. 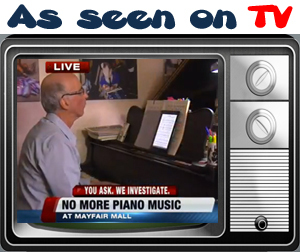 7:00 p.m. — 10:00 p.m.
Pat Byrne performing at Mayfair Mall in Wauwatosa, Wisconsin.